On one hand, the vacuum SPA probe realizes deep skin cleaning in virtue of negative pressure. On the other hand, skin care products can be injected into the spray gun so that their function can be made the full use of. The diamond dermabrasion probe is able to thoroughly eliminate the dead cells in epidermal layer, which stimulates cell renewal and improves pores permeability. Using the vacuum negative-pressure mode controlled by complete intelligent procedure, the vacuum SPA probe and spray gun of this Hydra Facial Dermabrasion Machine forces water, essence and other watery skin care products into deep layer. In this way, its function of improving cleaning effect and enhancing nutrition absorption is capable of coming into reality. 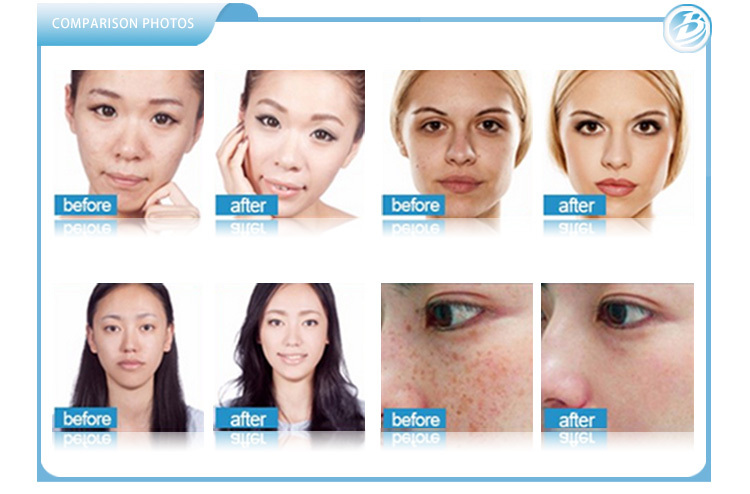 Diamond microcarving skin brightening therapy adopts the dermabrasion wand inlayed with diamond particles, which together with friction and vacuum suction technology can totally eliminate the aged cells in the outermost layer of epidermis. As a superficial physical treatment, it makes up for the defects of chemical exfoliator, completing its whole process through the perfect combination of absorptive action of skin on probes and proper movement speed of the latter. 1.Simultaneous effect of removing cutin and supplying water: The precise stripping function of ultra-tiny bubble system on cutin and the foreign matters in follicle pores can efficiently and accurately eliminate accumulated aged keratocyte while bring much moisture at the same time. 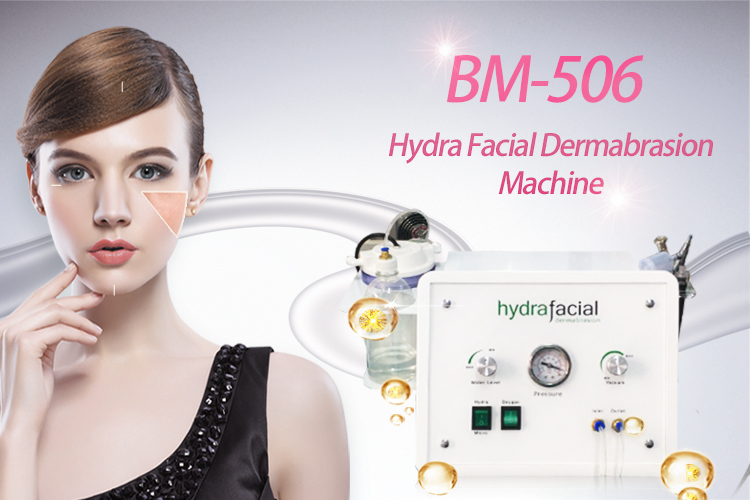 2.More safety and no harm to skin: The Hydra Facial Dermabrasion Machine plays its stripping role only on accumulated aged keratocyte other than normal skin tissues. 3.3.Multiple functions: Different treatment factors can be added into the spray gun, which makes sure the excellent absorption of medicine for different skin problems. 4.Specially-made probes: In order to realize the operation on nose, scalp, face, arm, body, etc., more than one probe/tip is specially designed according to the size of different treatment areas.